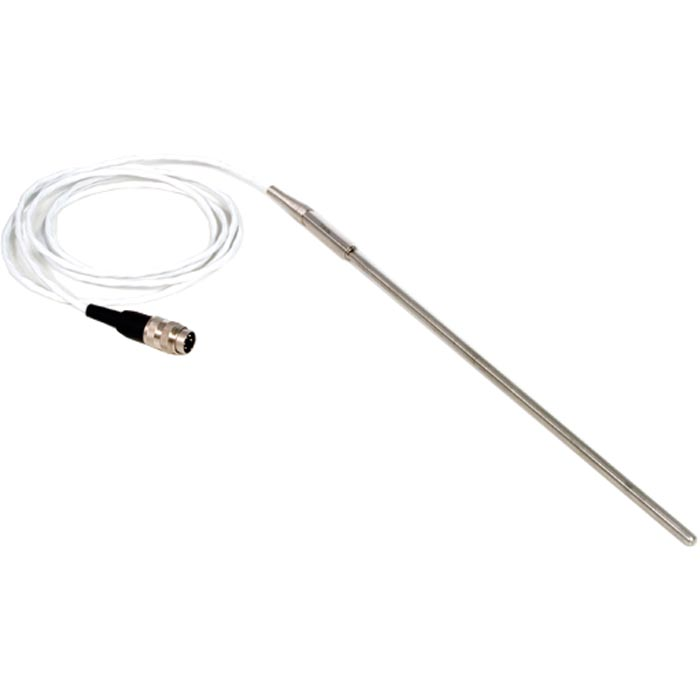 The reference thermometer CTP5000 provides a full range platinum resistance thermometers (PRTs) for use in every application from standards calibration to site temperature measurement. If the ‘off the shelf’ range will not suit the needs the thermometers can be supplied custom manufactured to almost any specification. WIKA also provide a range of standards resistors for use when calibrating platinum resistance thermometers. Using calibrated probes with a precise thermometer there is a choice between storing the calibration data into the memory of the instrument or if using ASL SMART probes for ease of convenience, the calibration is stored in an electronic memory chip located in the connector of the reference thermometer. Therefore moving the SMART probe between channels or instruments is easy as the calibration data is stored in the SMART-probe connector, no need to enter the calibration data into the instrument channel now being used. For calibration, the test items and the standard reference thermometer are brought to the same temperature in a temperature conditioning unit. As soon as a stable temperature is reached, the test items are read or their output signals are measured (resistance, thermoelectric voltage, standard signal) and compared with the standard thermometer. Using this comparison method, the measuring uncertainty can be considerably reduced because not only the display of the temperature conditioning unit is taken into consideration.